Here’s what’s new at Enginuity. Enginuity Consulting is proud to be a team member of the Gloria Dei Lutheran Church project in Dana Point, California. Teamed with domusstudio (Architect) and Carson Douglas (Landscape Architect). Based in San Diego, California, Enginuity is a new kind of civil engineering firm providing expertise, quality and efficiency for construction and rehabilitation projects in the Southwestern U.S. region. Enginuity offers a full menu of civil design and engineering services at boutique prices by keeping a core team of civil engineers in-house, while augmenting the needs of any given project with time-tested partners. Enginuity takes a straightforward and practical approach to engineering and design, to inject a blend of ingenuity and creativity to ensure smooth and successful outcomes. Service delivered with vigor and determination ensures that the job gets done. SBE – Certified by the Federal Small Business Administration, Enginuity is a small business enterprise. SLBE – Certified by The City of San Diego, Enginuity is a Small Local Business Enterprise. DBE – Certified by California Department of Transportation, Enginuity is a certified Disadvantaged Business Enterprise. MBE – Certified by California Department of Transportation, Enginuity is a certified Minority Business Enterprise. LEED Certified AP – Certified by US Green Building Council, Enginuity’s principles are LEED AP’s. 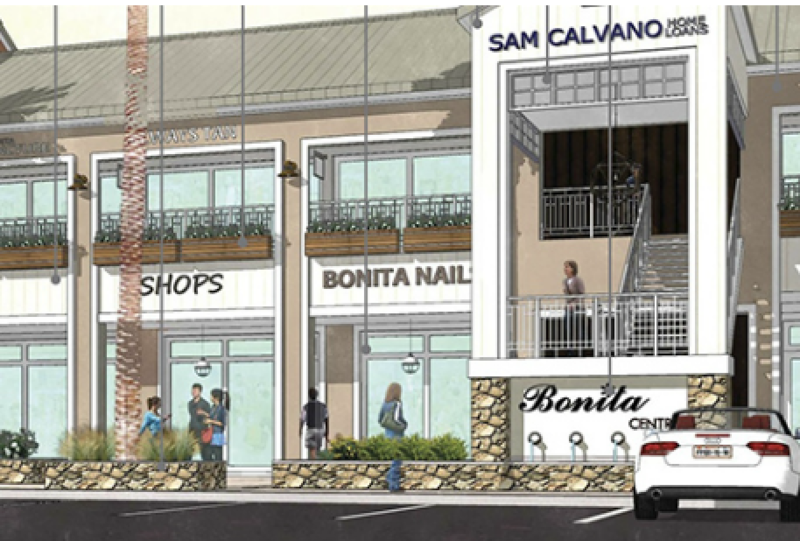 Bonita Centre Shopping Centre wraps its first phase of project work. Teamed with Nadel Architects, Enginuity was responsible for Civil Site Design, Utility Design, ADA compliance design, BMP management design. 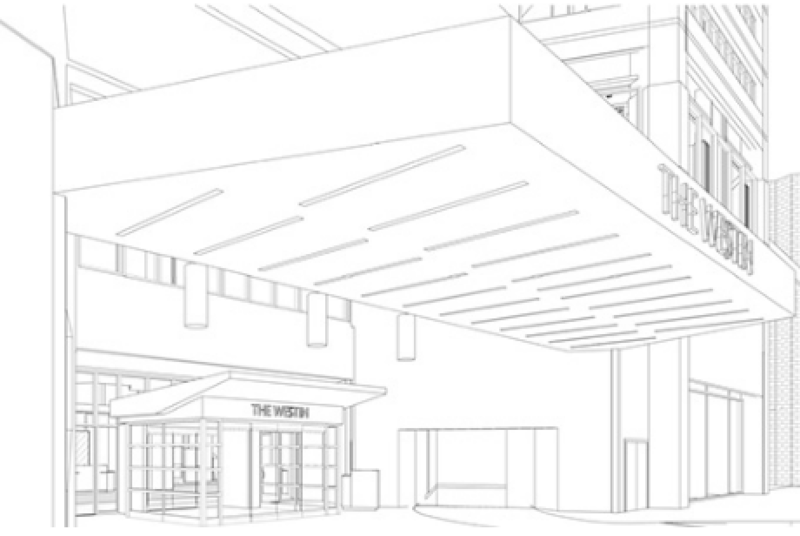 Enginuity Consulting recently was chosen as the Civil Engineer for the Westin, San Diego Renovation project. Improvements include exterior vestibule renovations, and drop off area upgrades. 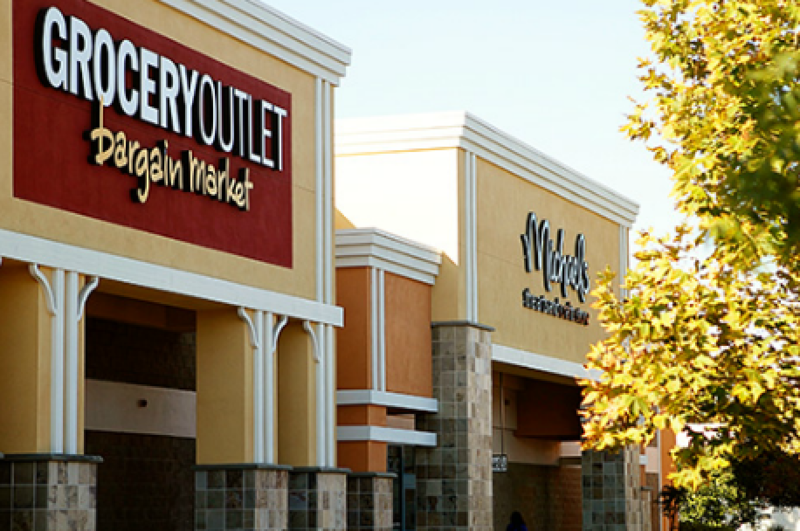 Enginuity Consulting recently filed as-built documents for the Poway Plaza project marking a successful completion on time and on budget. Enginuity would like to thank team members from Poway Plaza, LLC, Bycor and Nadel Architects for a successful partnership in accomplishing our goals for this project. 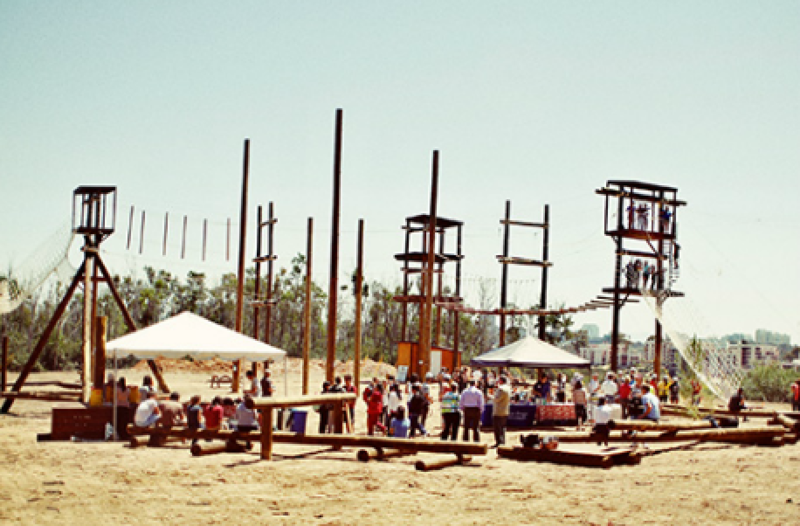 Enginuity Consulting recently wrapped up the Ropes Course project at University of California, San Diego (UCSD). 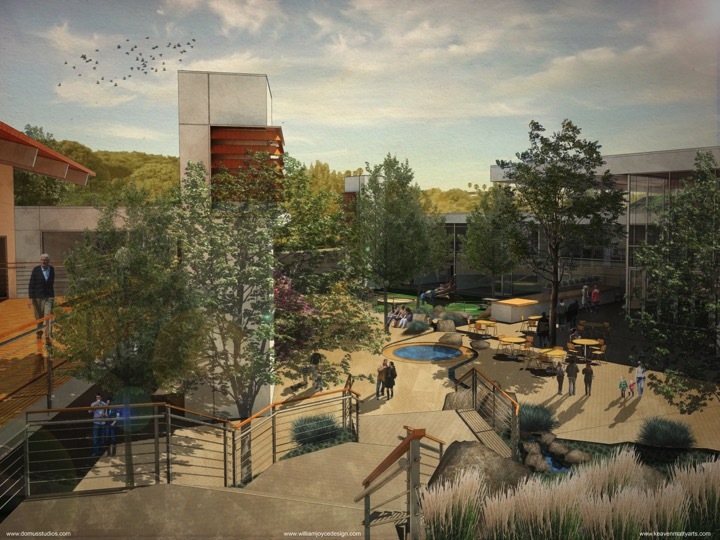 This project was unique because of its location within the Eucalyptus grove of the UCSD campus. This was a complimentary use and a positive addition to the grove. Several challenges were encountered on this project, including, overcoming impact areas, complimentary configuration for adjacent running paths, coordination of staging and construction. Enginuity consulting would like to thank the Facilities Design and Construction team, the Landscape Architecture team at KTU+A, and UC San Diego recreation department for the opportunity to work on an exicting and unique project. Enginuity Consulting recently was chosen by Nadel Architects as the Civil Engineer for 3 local Chase Bank renovations which included ADA upgrades, and minor exterior renovations. The Caltrans Calmentor Program recently recognized San Diego-based civil engineering firm Enginuity Consulting with an Outstanding Performance Award. Initiated by Governor Schwarzenegger in 2006, the Program is designed to encourage and support small businesses through voluntary partnerships with established firms. The Caltrans Calmentor Program’s intent is to promote small and emerging architectural and engineering firms, like Enginuity Consulting, by pairing them with larger, more established mentoring firms. The idea is to develop opportunities for Protégés and Mentors to participate in public transportation, as well as other development projects in the San Diego region. The San Diego Chapter of the Calmentor program is made possible by a partnership with Caltrans, SANDAG, the American Council of Engineering Companies – California (ACEC-CA), the City of San Diego, San Diego Contracting Opportunities Center – Procurement Technical Assistance Center (PTAC), and the Caltrans District 11 Small Business Council. The 2010-2011 Mentor-Protégé Program launched in March of 2010, and Enginuity Consulting was paired with URS Corporation, a fully integrated global engineering, construction and technical services organization. Enginuity Consulting’s Principal, Zubin Patrawala met on a monthly basis with URS’s Jim Bolz, P.E, to discuss a range of topics from engineering specifications, project selection and lead sharing, to project management methods, public speaking tips, cutting edge software and the best places for lunch in San Diego. With the help of programs like the Calmentor Program, emerging small businesses like Enginuity Consulting have the opportunity to receive mentorship, guidance and exposure from global firms like URS.